It was an interesting year for the GAA, what with the controversial presence of Hawk-Eye, the unpopular purchase of the rights to show matches by Sky – the bemused tweets from first time British viewers only slightly lightening the mood for many disgruntled fans (who didn’t giggle at #gaylick?) – and who could forget the scandalous decision to hold a semi-final replay between Kerry and Mayo in Limerick’s Gaelic Grounds? 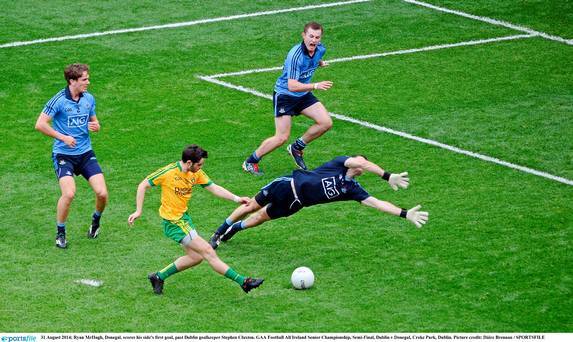 What’s more, who could’ve predicted the Donegal footballers semi-final triumph against a seemingly invincible Dublin side? However, it was the All-Ireland final day in hurling that really had the country talking. Kilkenny and Tipperary couldn’t be separated and had to meet once more in a thrilling replay, Kilkenny finally securing their 10th All-Ireland victory under the steerage of Brian Cody by three points. The display of skill, speed and stamina from both teams of players made this a gripping encounter for spectators but the performance of Kilkenny’s Power brothers was what broke Tipperary hearts and etched this final into the minds of the nation. 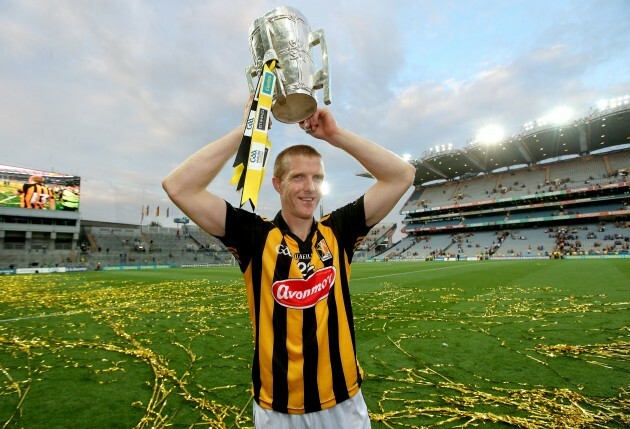 The brothers scored a goal apiece in the space of four minutes in the latter stages of the second half and the Liam McCarthy cup returned to Kilkenny for a 35th time. 25 year old Stephanie Roche came out of the woodwork this year when, in November, she was nominated amongst the biggest names of the soccer world, including Robin van Persie, Diego Costa and James Rodriguez, for FIFA’s Puskas award for her phenomenal left-footed volley in October 2013 against Wexford Youths. Her brilliance was caught only on the off-chance by a rickety recording by the opposing team but it was enough for the former Peamount United girl to gain enough notice to be nominated for the top ten goals of the year. An extensive twitter campaign saw Roche reach the final three with van Persie and Rodriguez. The winner will be announced on January 12 2015, and here’s hoping the Irish international can go all the way. The Wimbledon final is something that comes around every year but for some reason the thrill of eating strawberries and cream on the couch during the summer holidays while two grunting tennis extraordinaires have it out never seems to fade. Of course, it could be topped by sitting beside the likes of Jude Law or Bradley Cooper on centre court but you can’t have everything and the strawberries they serve over there probably aren’t even of the exquisite Wexford variety anyway. The 2014 final was one of the finest displays of tennis to be seen in a while and tennis fans everywhere were faced with the hard task of picking who to cheer on – the finalists, Novak Djokovic and Roger Federer were quite inseparable. Djokovic had had the close-but-no-cigar experience in the previous years of the tournament, rendering him a sort-of underdog and Federer was a Wimbledon stalwart, someone we had all rooted for many a time. The match was a gruelling contest but it was Djokovic who reigned supreme on the day and won 6-7(7), 6-4, 7-6(4), 5-7, 6-4 in three hours and 56 minutes, returning to his position of world number one. 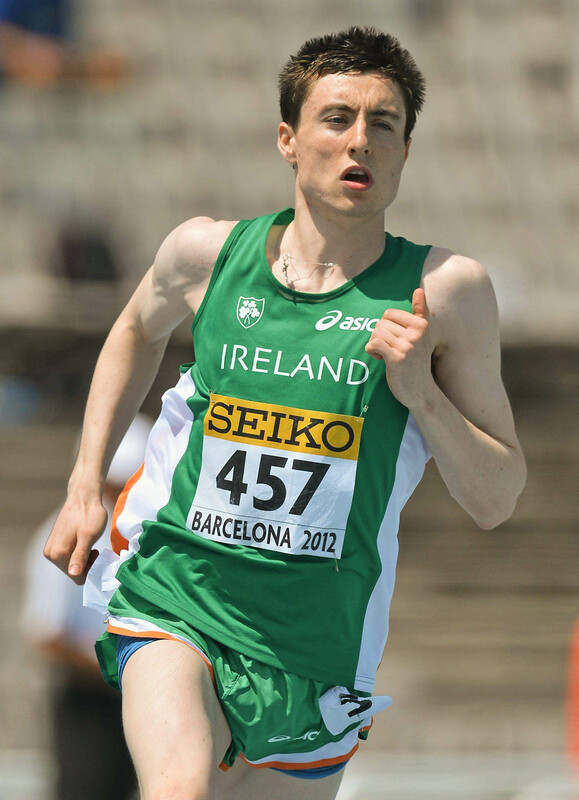 Mark English represented our nation brilliantly in Zurich, Switzerland at the European Athletic Championships during the summer, returning home with an 800m Bronze medal – a first for Ireland in the two-lap event at any outdoor championship. The 21 year old Donegal native and UCD student gave a fantastic performance on the night and went on to be named Athlete of the Year at the National Athletic Awards in November for his outstanding efforts. It was a fateful day for Irish rugby in March that saw Brian O’Driscoll finish off his international career in the very stadium he shot to fame in with a hat-trick of tries 14 years previously. The Stade de France played host to an exciting contest between Ireland and Les Bleus, Ireland edging out France with a 22-20 victory to secure only their second RBS Six Nations title in 42 years. Johnathan Sexton and Andrew Trimble were the try-scorers for the men in green on the day but the Irish victory was not without its difficulties; only a last minute TMO decision to disallow a French try due to a forward pass kept the well-known feeling of Parisian defeat at bay. It was a day to be remembered with the O’Driscoll retirement but also perhaps the sign of the magic touch Irish coach Joe Schmidt had on this team; an outstanding Guinness series followed in the Autumn and O’Driscoll’s boots were certainly well filled by Robbie Henshaw. The men did the business in France but it can’t be forgotten that the Irish women’s team did the business too. They beat out the world champions New Zealand in the World Cup, something the Irish men have failed to do for the past century. It was a brilliant day for Irish sport but also for women’s rugby in Ireland on the back of their 2013 Grand Slam victory. It saw Tim Howard, the American goalkeeper, become a household name in the States which in itself was quite an event – it’s not often that America is seen as the underdog but in soccer that is the case and the valiant efforts of Howard against Belgium in the final sixteen stage of the Cup were unforgettable. 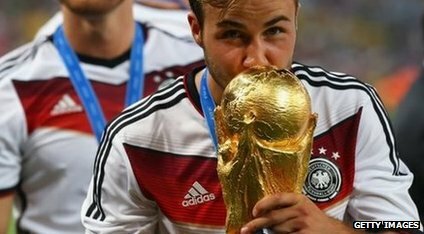 We also saw Spain, former World champions crash out of the tournament in spectacular fashion with a 5-1 defeat to the Netherlands but it was the performance- or lack thereof some may say- of Brazil that stood out for most. Brazil were shaky from the get-go despite being favourites to win and Germany annihilated them once and for all with a whopping 7-1 win in the semi-final at the Estádio Mineirão. The Guardian’s Hadley Freeman also gave an extensive alternative view on the goings on in Brazil, which made the World Cup enjoyable even for the less enthusiastic World Cup viewers. 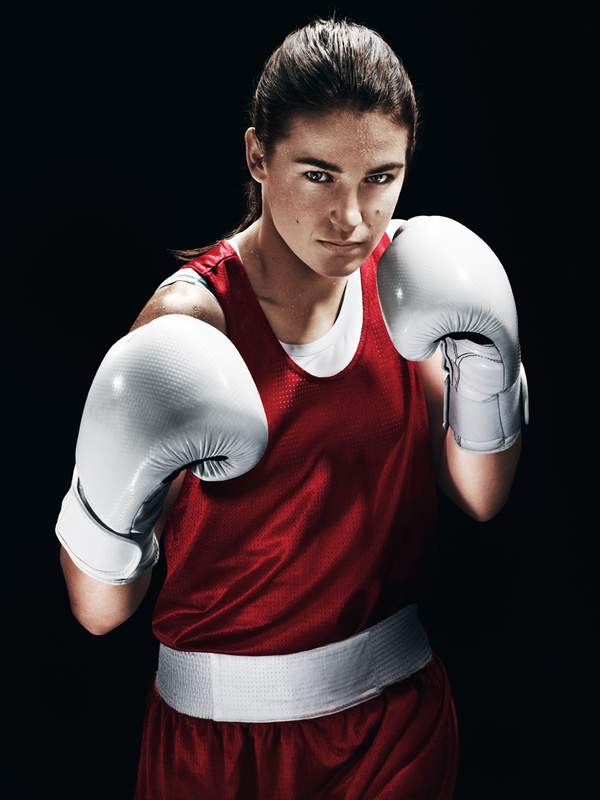 Katie Taylor is at this stage a national treasure and this year she secured a fifth consecutive world title at the AIBA Women’s World Boxing Championships in Jeju, South Korea. She finished off Yana Allekseevana of Azerbaijan in style and showed the world once more how much of a great she really is. The Irish boxing scene had further success with Paddy Barnes winning at the Commonwealth Games (and his little quip of ‘Not my anthem’ when getting his medal getting caught on camera during the playing of Danny Boy was TV gold) and the legendary Andy Lee became World middleweight Champion when he defeated the previously undefeated Matt Korobov in Las Vegas in December. 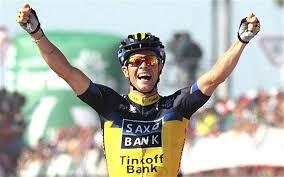 The son of 1987 Tour de France winner Steven Roche, Nicholas Roche signed for the 2015 Sky Team in September of 2014. Cycling has been through the ringer with doping allegations – and admittances (here’s looking at you Lance) – in recent times. However, focusing on the positives, this is a great achievement for Roche and he will certainly strengthen the pack for Chris Froome next year. 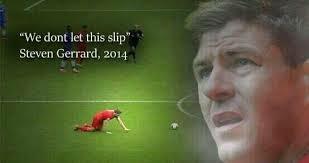 Man City may have won the Premier League title this year but as we look back on the 2014 competition, it does cross one’s mind of how different things could have been if poor Steven Gerrard hadn’t literally slipped up for Liverpool that day against Chelsea in April. It was a pivotal moment for the Liverpudlians when Gerrard lost his balance and Chelsea’s Demba Ba scored, the much-wanted return to Liverpool’s glory days of the 80’s being kicked straight to the back of the net with the ball and decidedly out the window. It may have caused many tears for Liverpool fans but let’s face it, it was kind of funny when you watched it twenty times in a row on YouTube.